I am struggling with allergies this year. Really struggling. Last year I dealt with fluid in my ears for a good three months after not having much of a peep from seasonal allergies in several years. That should have been my warning. Stress, inflammation, diet – so much can have an impact on immune balance, and I’ve noticed that how my body responds during spring allergy season is definitely tied in with what’s been going on the rest of the year. So now I’m drinking lots of nettle overnight steeps and adding digestive bitters back to my routine to help keep my liver happy. 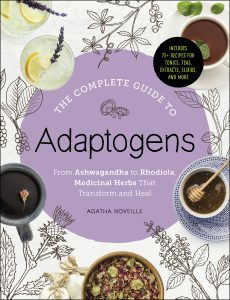 I’m also drinking more tulsi tea and finding other ways to add this lovely adaptogen to my daily recipes. 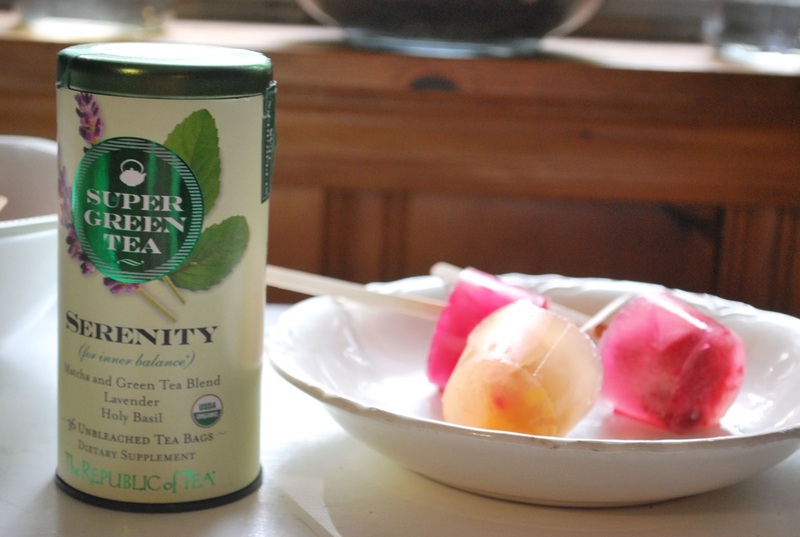 Tulsi is an adaptogen, and like most adaptogens, is fabulous for the immune system. 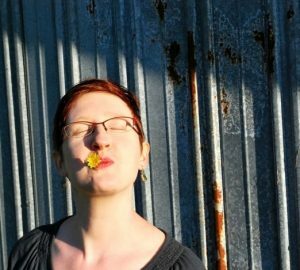 In Adaptogens: Herbs for Strength, Stamina, and Stress Relief, David Winston talks about using tulsi in his herbal practice for people with rhinitis and pet dander allergies, with good success. 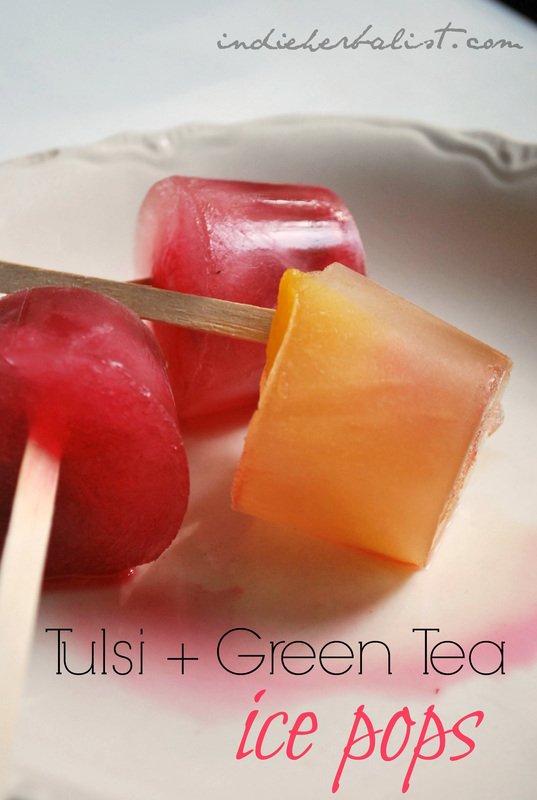 I thought ice pops would be fun, so I came up with these yummy tulsi and green tea honey pops with peaches and raspberries! 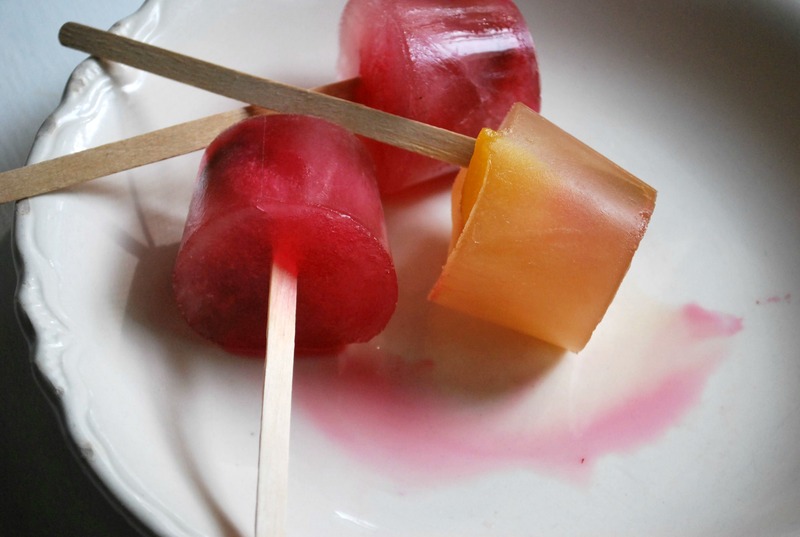 You can use popsicle molds to make these if you have them, but I used small paper cups and wooden coffee stir sticks for mine. 1. Brew the tea bags in 8 oz of hot water to make an extra strong tea. 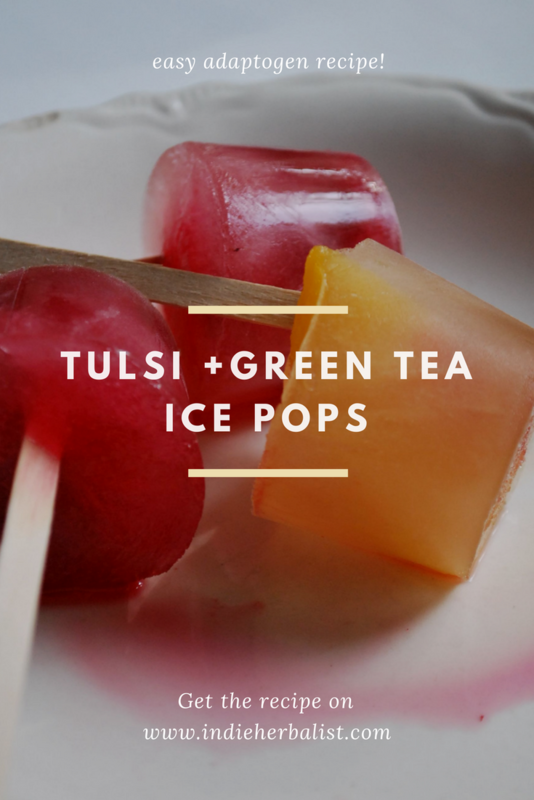 Freezing will dilute the flavors a little, so brewing extra strength makes the finished pops tastier. 2. Remove the tea bags and allow the tea to cool. Sweeten it to taste with the honey. 3. Set out 6 small paper cups and fill them a little more than half full with tea. 4. 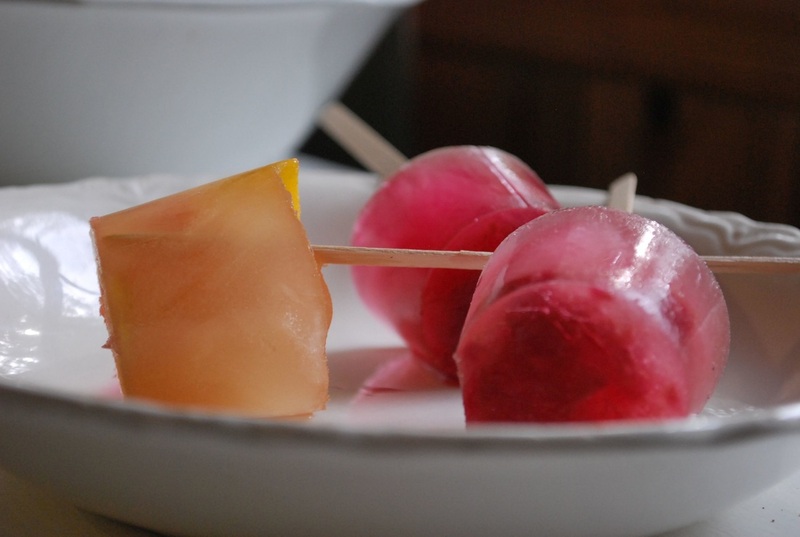 Add a frozen peach slice or a few raspberries to each cup. 5. Position the stir sticks in the cups. Use an extra, empty cup, a scrap of cardboard with a slot, or a piece of tinfoil to hold the stir sticks in place. 6. Transfer the cups to the freezer until they are frozen solid. 7. Hold the stir stick with one hand, and squeeze the ice pop out of the paper cup. As soon as your hand warms it a little it should pop right out. I wasn’t holding the stick on the first one and it shot across the kitchen! Benefit of having a waxed paper cup= super easy removal and instant food fight if anyone else is in proximity. 8. 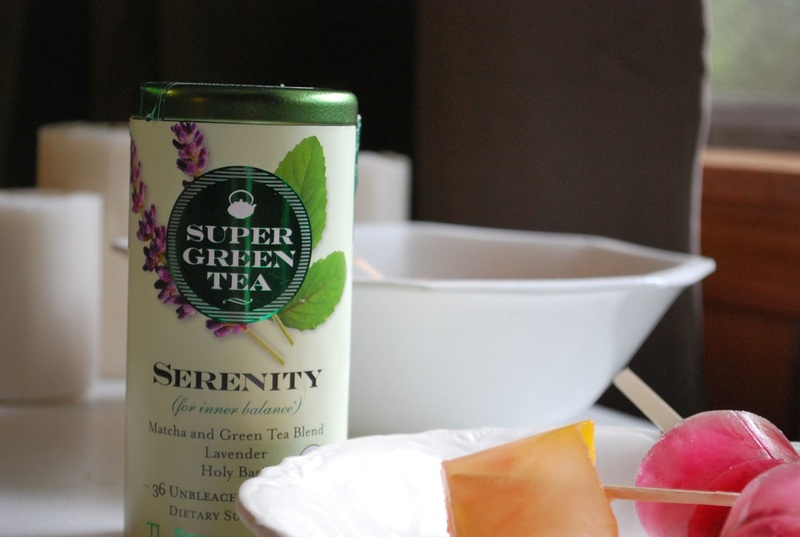 Treat yourself to a little extra adaptogen goodness! Enjoy! ​You can try other fruit, too- blackberry, strawberry, and mango would all be delicious for this recipe. The raspberry ones are my favorite. I love having them in the freezer for when I wake up with a scratchy throat from allergies, or as a treat after working in the garden all afternoon.